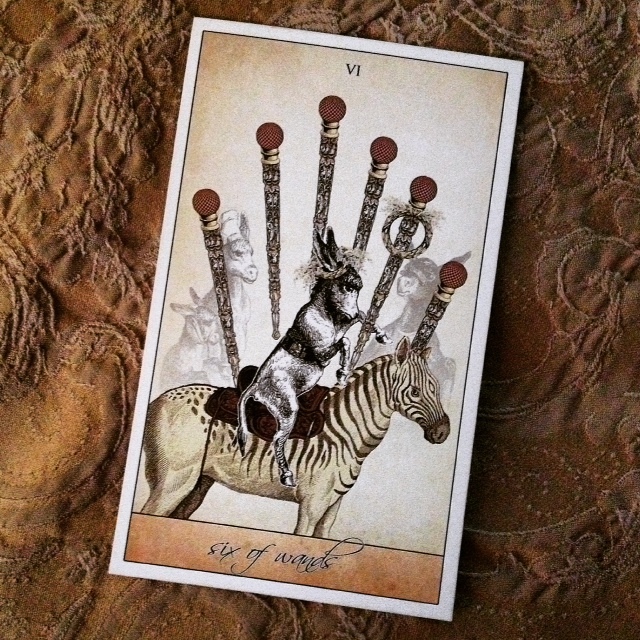 After a night of breakthroughs I pulled a card for myself, the Six of Wands. First of all, who doesn’t love a picture of a donkey riding a zebra? I admit, I do have several favorites in this deck and this card is right up there. Not only for the image but for the meaning as well. This card is about success and triumph. Sometimes public recognition. Well, I don’t know about THAT, but I do feel triumphant this morning. I think often our expectations or definition of success can be so large and overwhelming that we fail to recognize all the little successes along the way. Say you’re on a diet and you resisted that doughnut in the break room at work. That’s a success! Don’t wait until you’ve dropped the entire 20lbs before you allow yourself to feel triumphant. Recognize that moment. I do something everyday to work toward my goal. Sometimes they are big things, sometimes they are little. But I discipline myself to do at least one thing, everyday. At the end of the day I sometimes have to remind myself that I should be proud of that accomplishment, sometimes I feel like I haven’t done enough. It’s an easy, self defeating trap to fall into. Changing our outlook to recognize the positive means we increase the positive in our life. One success leads to another and we continue, one foot in front of the other, until we reach our ultimate goal and triumphant success. 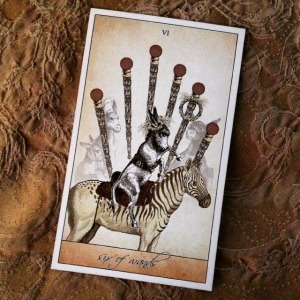 This card says if we are not already there, we are certainly on our way. Keep going. 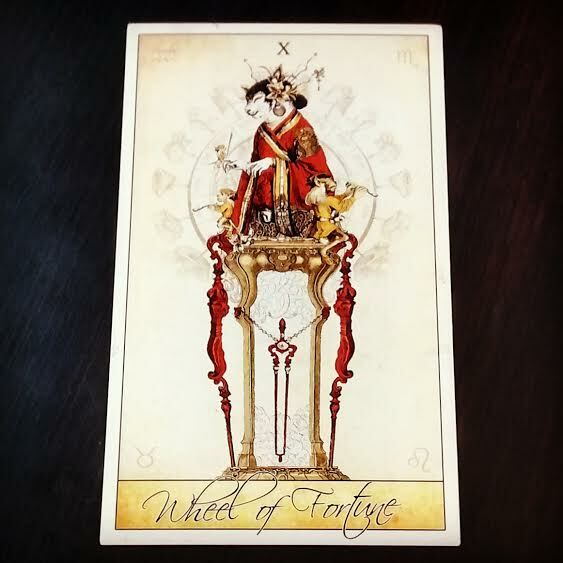 More about the Isidore Tarot.